A closer look at the day's most notable stories with The National's Jonathon Gatehouse: Calgarians rejected a bid for the 2026 Winter Games over fears of big costs, but Olympic bills are coming due all the same; how a Toronto professor's discovery turned into a Grammy-nominated album. Calgary is latest city to face problems keeping expensive former Olympic venues operating. Rosemary Barton tackles the issues fuelling the increasingly heated debate over the future of Alberta's energy industry. How a Toronto professor's chance discovery turned into a Grammy-nominated album. Last November, Calgarians rejected a bid for the 2026 Winter Olympics over fears of spiralling costs. But now the bills are coming due all the same. Yesterday, WinSport, the not-for-profit corporation that operates the legacy venues from the 1988 Games, announced that it doesn't have the money for long-planned renovations to the city's sliding centre, and might be forced to shutter the bobsleigh, skeleton and luge track come next fall. The project to replace the refrigeration system and make other needed upgrades had already received $10 million in provincial funding and a promise of a further $7 million from Ottawa. However, WinSport says that won't be nearly enough, estimating the total costs to be at least $25 million, plus decades of future operating subsidies that currently run at $750,000 a year. Sport federations had been assured that the project was going to go ahead regardless of the 2026 Games bid, which called for the refurbishment and reuse of the 1988 venues. Now they face months of uncertainty as WinSport tries to pry more money out of the Alberta and federal governments. 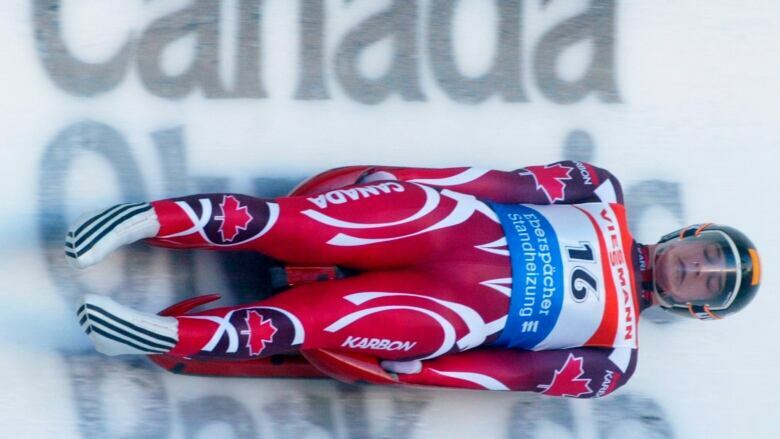 Of course, Canada does have another world-class sliding facility in Whistler, a legacy of the 2010 Olympics. Canada's high-performance sliders already train and compete there as well, so moving the national team programs and world cup races from Alberta to B.C. would be more of an inconvenience than an impossibility. 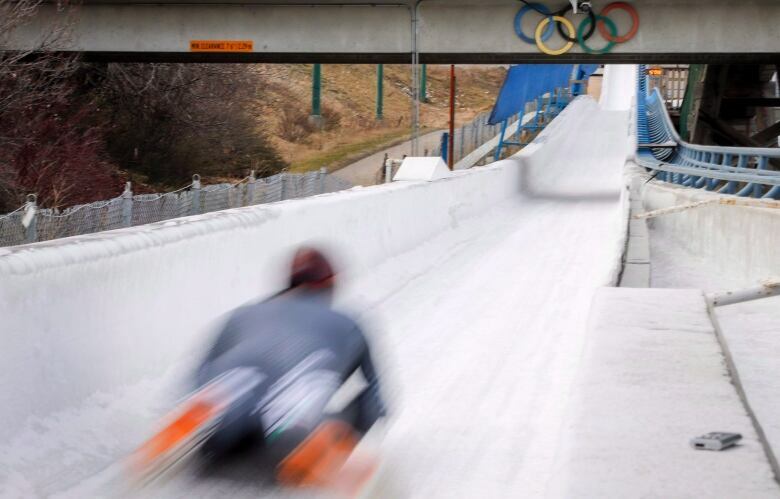 But the closure of the Calgary venue would severely hamper the kids' camps and development programs that produce the next generation of athletes, and have helped Canada to eight Olympic medals in bobsleigh and skeleton since 2006. Nor is it the only post-Games problem that the city is facing. Two of the three neighbouring ski jumps at Canada Olympic Park, now in a state of terminal disrepair, are scheduled to soon be torn down. The 90-metre tower will survive, but only for use as a zipline launch and to boost cellphone signals. Several other '88 venues are also in dire need of renovations, including the speed skating oval — at least $15 million for foundation work and ice plant upgrades — and the cross-country and downhill ski areas in Canmore and Nakiska. And then there's the ongoing fight with the Calgary Flames over their desire to replace the aging Saddledome with a new NHL rink, to be largely paid for by the public. For all the focus on the cost of hosting an Olympics, relatively little attention gets paid to the price of keeping the venues going after the circus leaves town. Utah has earmarked $40 million US to keep its 2002 Games sites in good shape as it pursues a possible bid for another Winter Olympics, and now there are calls for a further $15 million in order to attract more international competitions. Although increasingly, host nations seem to be leaning towards the other choice — just letting stuff fall apart. 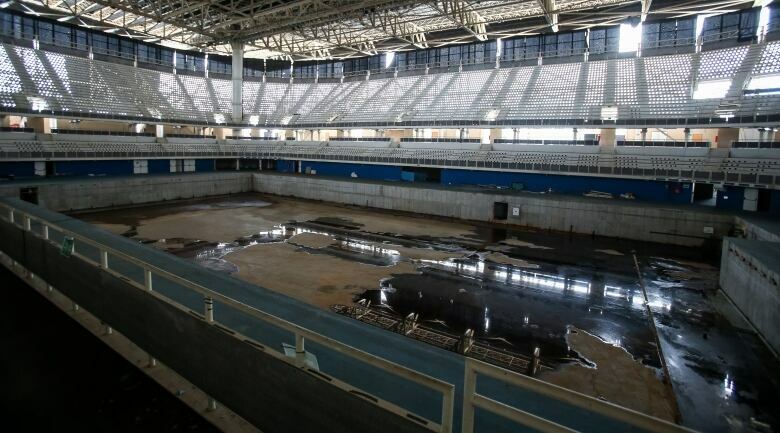 A year after the Pyeongchang Games, many of the 2018 venues sit idle. The sliding centre is closed — ironically, South Korean athletes now train in Calgary — and the speed-skating arena is without ice. The hockey arena has been used three times since the games finished, and the figure skating venue has hosted two concerts. All of which is better than Rio, Athens and Beijing, where many Summer Games facilities have basically been left to rot. Even the biggest, shiniest Olympic jewels — the cavernous stadiums that host the Opening and Closing ceremonies and track and field — are perpetual white elephants. London Stadium, now home to the Premier League's West Ham United, is costing British taxpayers somewhere between $74,000 and $431,000 a game — estimates vary — in a cut-rate lease that runs for 99 years. And a Harvard Business School study released last fall concluded that most Olympic stadiums are set up to fail, built too big, indebted and ugly to succeed as homes for pro teams or cultural events. None of which will come as news to Montrealers. 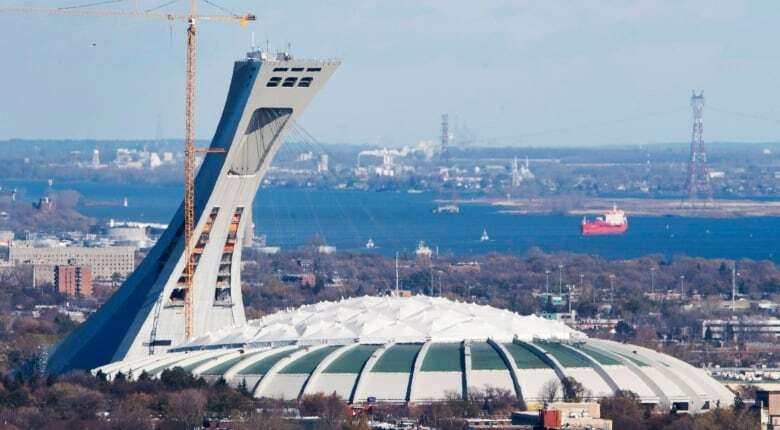 The "Big Owe," built for the 1976 Summer Games but not paid off until 40 years later, still needs a $250 million replacement roof. Yesterday, the Régie des installations olympiques announced that the work will be pushed back another year as they try to make sure that the new roof will actually work, since two previous versions ripped. The new lid is scheduled to be in place by 2023, and will hopefully last until the city hosts some FIFA World Cup matches in 2026. Rosemary Barton writes about the problems fuelling the increasingly heated debate over the future of Alberta's energy industry. From the low price of Canadian crude, to a lack of pipelines, it's safe to say Alberta's economy is facing serious challenges. This week I travelled to Edmonton as part of our National Conversation series. With the federal election now just eight months away (yes, the countdown clock is on) and a provincial election before that, we wanted to talk about the future of the province and hear from Albertans directly. And we wanted the provincial government's perspective, too. Premier Rachel Notley told me she still believes a pipeline is the best and safest option to move oil to market. But given the current stalemate, she has no choice but to keep looking to railcars (remember she announced the province would be purchasing 7,000 railcars last fall). 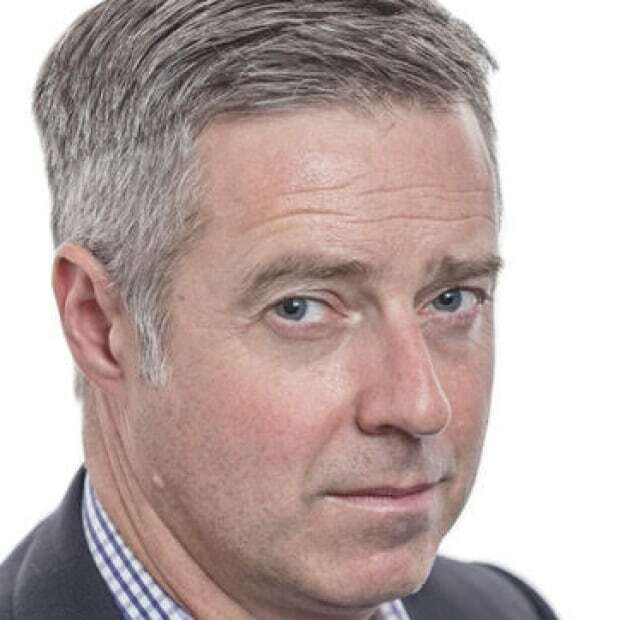 So is Ottawa doing enough to help Alberta? And should Notley be doing more to stand up to the federal government? 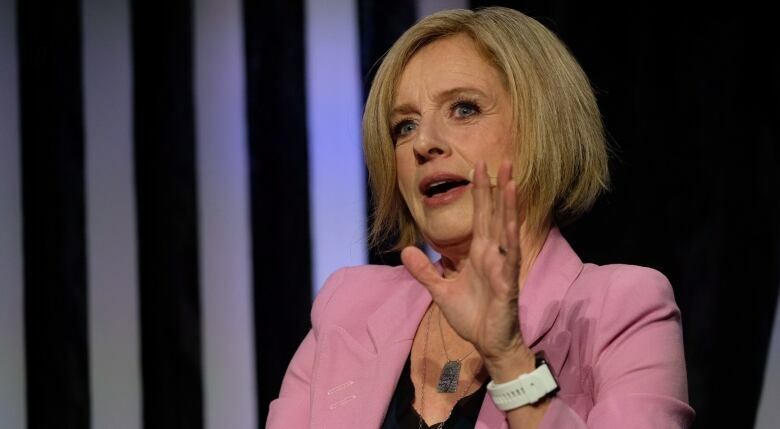 The premier says she is, but many who were in the audience for our event in Edmonton or submitted questions for Notley online felt otherwise. She says it's all about explaining to Canadians why they should care about Alberta's success. But there are, of course, politics at play here. I also sat down with Notley's political rival, United Conservative Party leader Jason Kenney, who says Notley's mistake was focusing her energy on one pipeline to solve the provincial economy's problems. Producer Greg Hobbs describes how a Toronto professor's chance discovery turned into a Grammy-nominated album. When Yiddish Studies professor Anna Shternshis found herself in the unlikely position of overseeing the production of a musical recording, she discovered that musicians can connect with the past in ways historians might not be able to. Yiddish Glory: The Lost Songs of World War II is a Grammy-nominated collection of songs written by Jewish Red Army soldiers, refugees and victims of the Ukrainian ghettos. The works were discovered by Shternshis during the early 2000s in a box at the Vernadsky National Library of Ukraine, while she was working on a project about the decline of Yiddish culture in the Soviet Union. They are unique, in that they were written in Yiddish from the perspective of those battling through one of the darkest periods of the 20th century for Soviet Jews, as they experienced it. "The rumours that the songs were collected existed," says Shternshis, who teaches at the University of Toronto. "But scholars believed that this collection was destroyed and never survived the war." Some of the documents came with musical notations, others were just lyrics. Early in the production process, when Shternshis was working with Russian songwriter Psoy Korolenko to put music to the lyrics of a piece called Purim Gifts for Hitler, Korolenko said he wanted to add a line. "I said to Psoy, 'this is a terrible idea,'" recounts Shternshis, who was trying to be as authentic as possible to the originals. Purim Gifts is a defiant song decrying Hitler's attempts to defeat the Jews. As the translated lyrics go, "You're not my first enemy, before you I've had many others." While first performing the song on behalf of Shternshis at an academic conference, Korolenko insisted on adding a well-known Yiddish and Hebrew saying that translates as, "The Jewish people live on and on." It was a rousing moment that the audience loved, although it made Shternshis uncomfortable. To her astonishment, she later discovered an earlier handwritten version of the song in a different section of the Vernadsky Library. In that version, the lyrics ended with the very same line, "The Jewish people live on and on." It turns out that this is what the original author had intended before Stalin's censors got their hands on the lyrics. It was eye-opening for Shternshis. "Musicians can really get what the other musicians were saying, many years later, better than a historian," she says. Yiddish Glory: The Lost Songs of World War II is nominated for a Grammy in the World Music Category. For more on the collection, watch tonight's The National on CBC Television and streamed online. 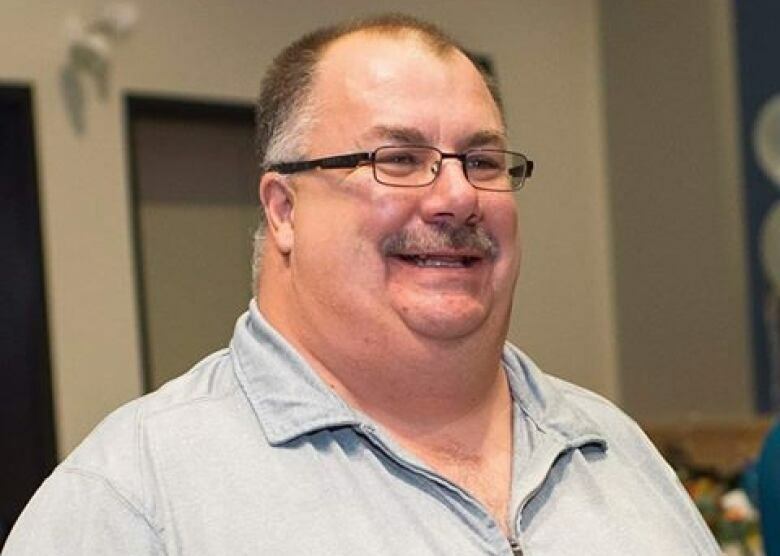 The passing of one of Parliament Hill's good guys. "It's my last name, I've always had it. I'm not ashamed of it. There's nothing bad about it." - Melville, Sask., resident Dave Assman (pronounced "Oss-men") reacts to the government's rejection of his Seinfeldesque request for a personalized licence plate. The Halifax-brewed, kind-of India Pale Ale, taps into some expansion money from its Belgian-based parent company to offer drinkers in Ontario and elsewhere an authentic taste of Nova Scotia.